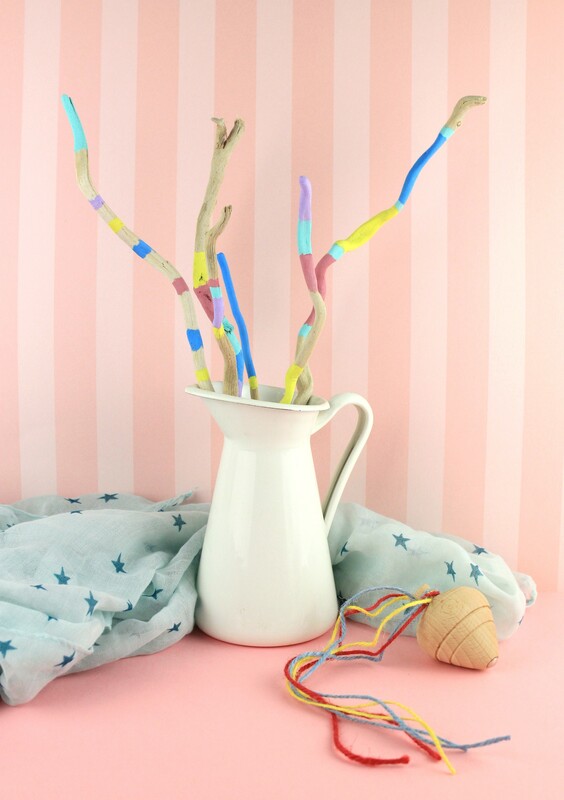 DIY Painted Driftwoods for our Home Decoration! 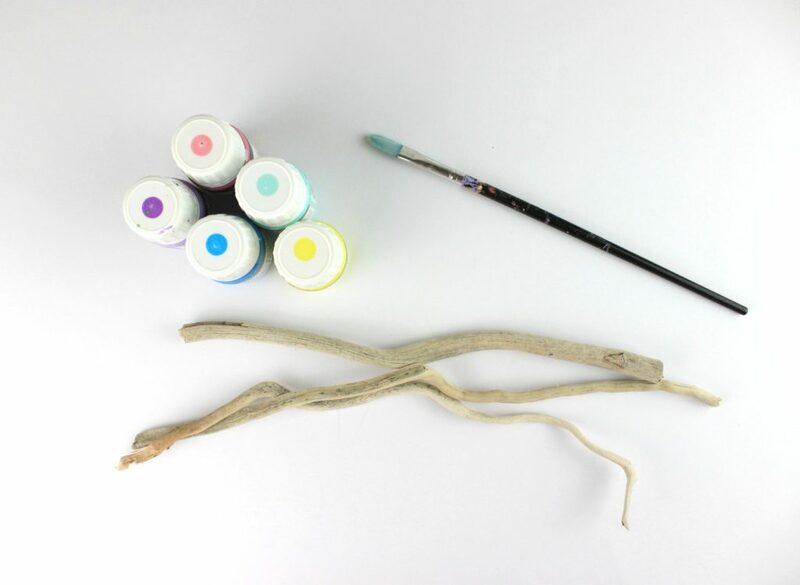 A beautiful and easy idea for creativity moments with our kids and not only! One of our favorite things to do with the kids during our Summer vacation is to collect from the beach small pebbles, shells and of course driftwoods. At least for me, the last one is my favorite material for my crafts. This year we were lucky to enjoy a beautiful beach full of sand and pebbles and so many driftwoods. The reason? Trees were too close to the water! So imagine how excited we were… my hubby again wasn’t when he realized how many rocks and woods we have collected! 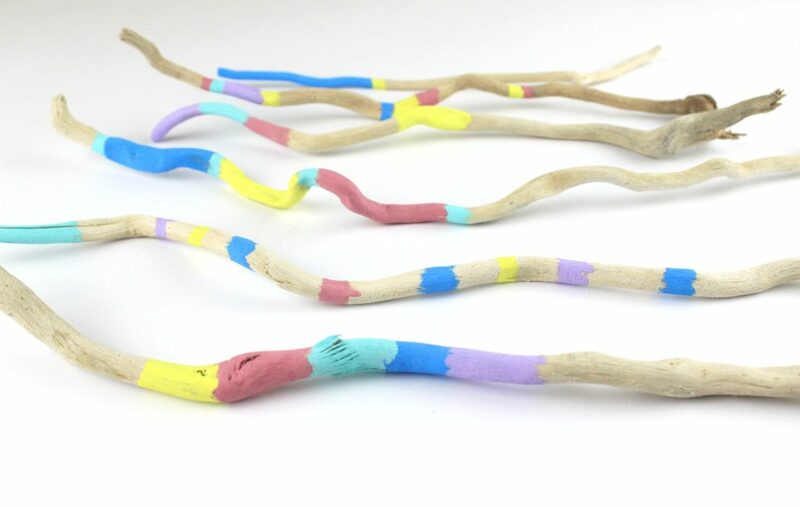 Anyway, I was also so thrilled that I was almost not realized his comments…Afterall, driftwoods are a beautiful natural material to use it in the crafts and in the home décor. For example, my beloved airplant is already decorated on painted driftwoods. This time I decided to make two different crafts, so far. 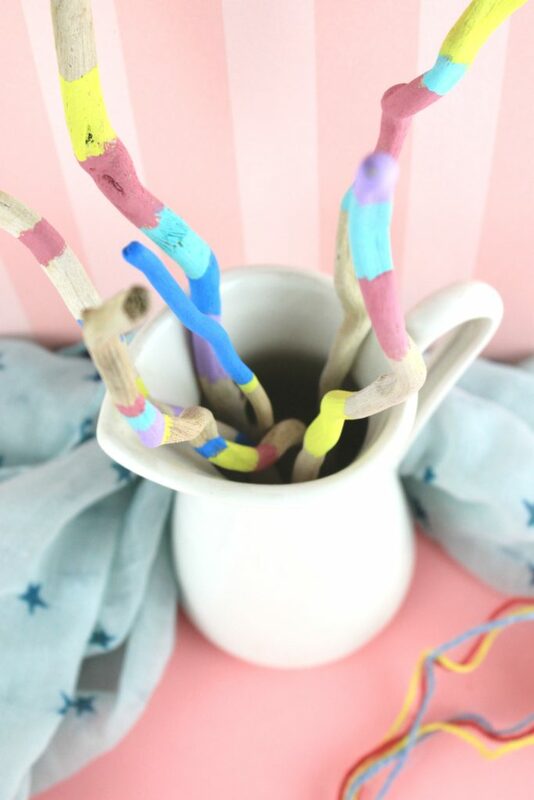 So join me for a DIY Painted Driftwoods for our Home Decoration! Maybe one of the easiest crafts that I have done so far. After all handmade creations do not mean that have to be something difficult to make. Just fantasy and colors and good mode and everything can be done! The kids wanted to help me, but then they decided to paint their beach rocks. Coffee for me and fresh juice for the kids and let’s get dirty with colors! What to do? Just use your favorite colors and make simple patterns. I think with all these beautiful pastel colors (my favorits) nothing more was needed. Stripes with different thickness and the driftwoods are ready. Let them dry and they are ready to join our home decoration. Just to be sure, you can use also a water proof mat vernish. 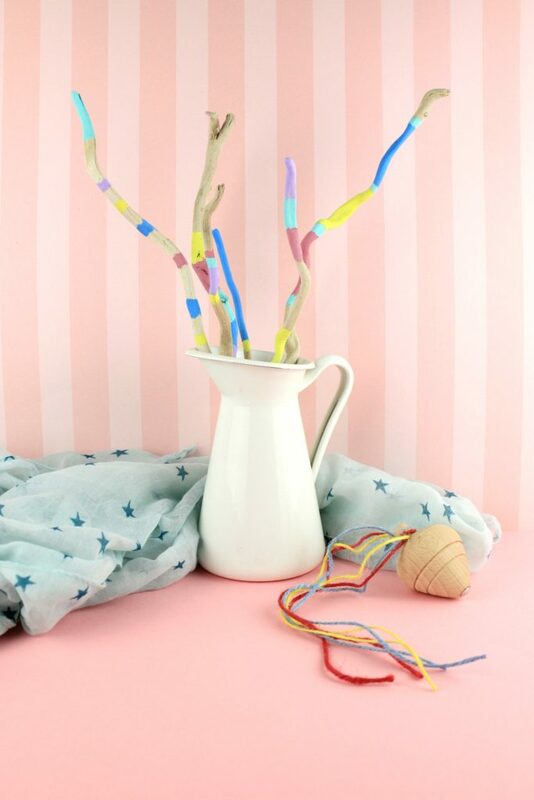 The driftwoods we prepared are already decorated in a vintage style white jug and they are already in our living room. For this Autumn, I would like to change my decoration, but with not that big changes. Only to paint or add decorative details with pastel colors and remove everything that is not that bright. I need color in my dailylife! it’s a decision…this Autumn I need more colors, even thought I am in love with green and orange and brown. Of course all of them will be part of my decor, but also they will be combined with more pastel colors. And of course, my favorite moss will remain as it is! It is nothing better than natural materias in your daily life. And just a tip… I have add also aroma on the woods and they smell amazing! 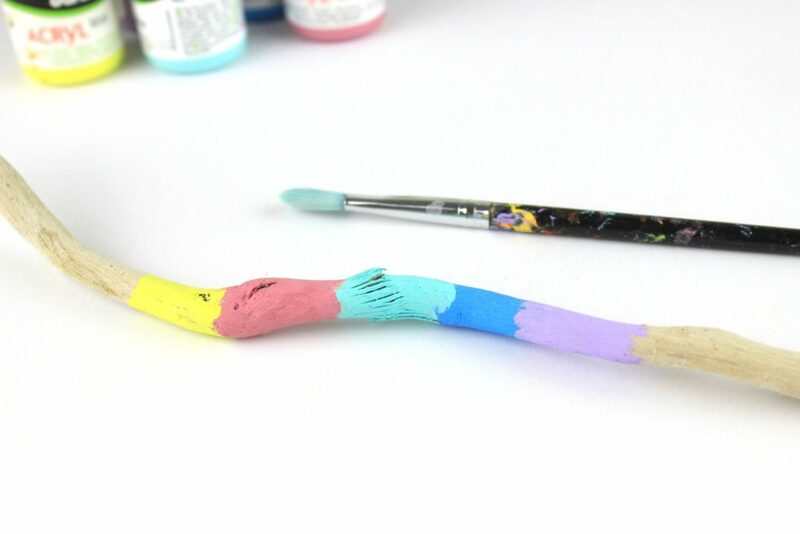 So, what are your favorite simple crafts you have done so far?